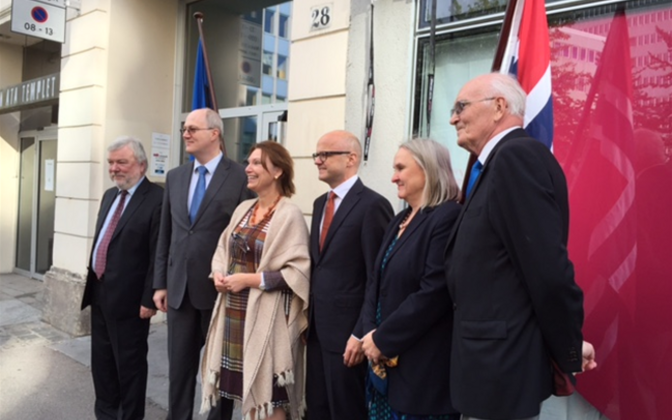 A blue plaque to mark the inauguration of the Estonian government in exile in 1950s was unveiled last week in Oslo. 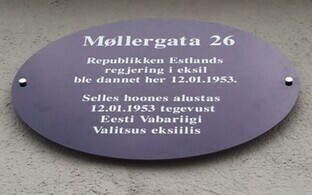 Mounted on the wall of the Møllergata 26 Hotel, the blue circular memorial disk commemorates the day the exiled Estonian government started working in the country on January 12, 1953. The event, which took place on Saturday, was organized by the Estonian Embassy in Norway, the Norwegian Hege Boman Grundekjøn-Africa partnership, the Comfort Hotel Xpress, and the Norwegian Embassy in Estonia. "About 50 people were present, including Norway’s European affairs minister," said Peep Pillak, chairman of the Estonian Heritage Society. "It was a festive and high-level ceremony," he added. 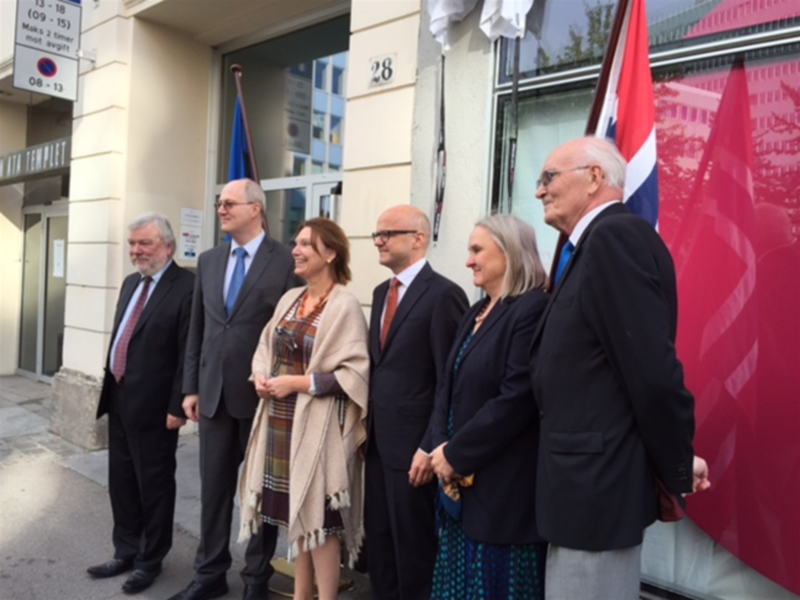 A blue plaque to mark the inauguration of the Estonian government in exile in Norway (Photo: Gro Dahle/Norwegian Ministry of Foreign Affairs). Estonia was represented at the event by the head of the Government Office, Heiki Loot, and Aino Lepik von Wiren, director general of the Estonian Foreign Ministry's department for European and trans-Atlantic cooperation, who was minister of justice in the exiled government until 1992. The first government-in-exile was led by August Rei as acting prime minister and the president, who appointed a five-member Cabinet in Oslo after fleeing the advancing Red Army in the 1940s to Sweden. The exiled government met in Norway as refugees in Sweden were banned from engaging in political activity. Members of the Estonian Exile Government could reside in Sweden, but not act on their capacity as members of the government-in-exile there. 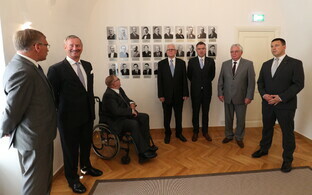 The government-in-exile ended its activity on October 7, 1992, after a legitimately elected Parliament and the president of Estonia had been sworn in. After the ceremony at the Oslo plaque, participants proceeded to the cemetery to light candles at the grave of Richard Bjereke, the Estonian honorary consul in Norway before World War II.